Sunset at Everglades National Park can be an enchanting time. 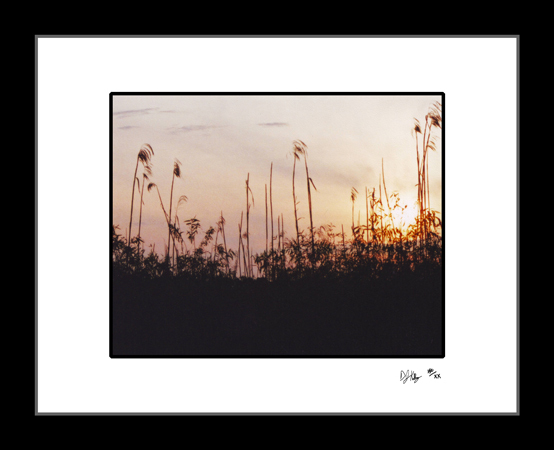 In this sunset photograph the silhouette of marsh grass can be seen in front of the sunset in one of the many marshes at Everglades. The pinks and oranges of sunset paint the sky and poke through the silhouette of the tall marsh grasses at the water's edge in this stunning color photograph.